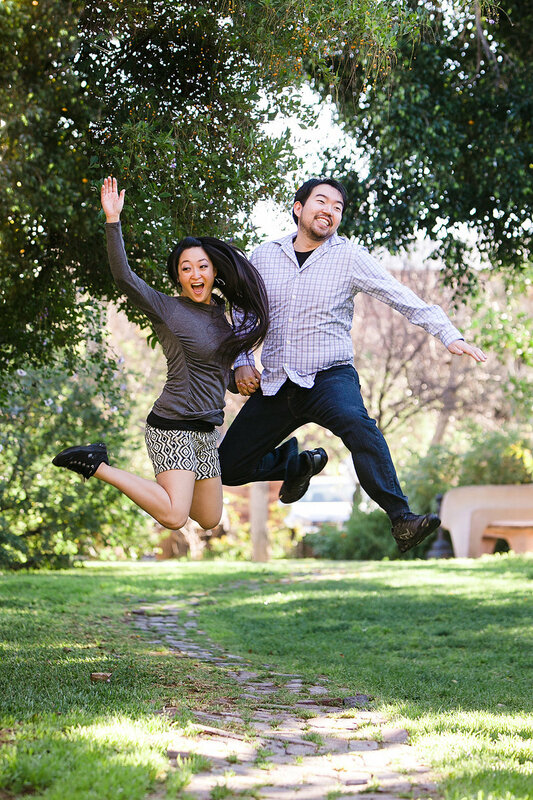 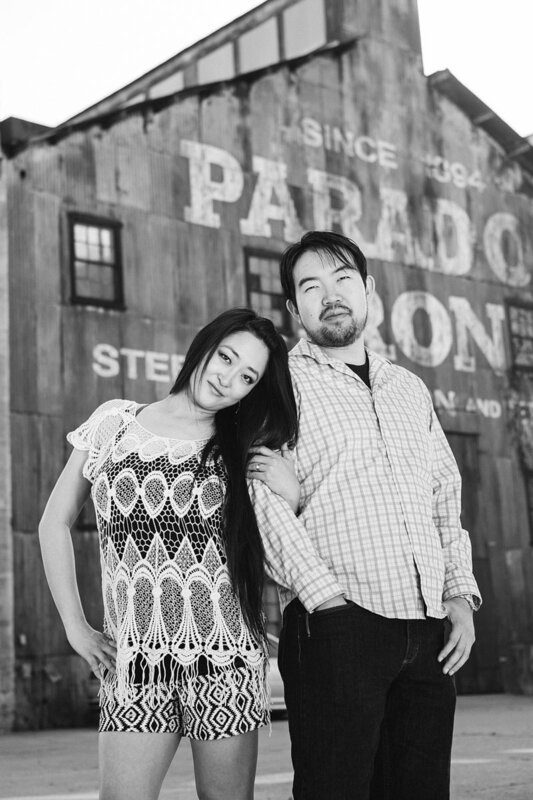 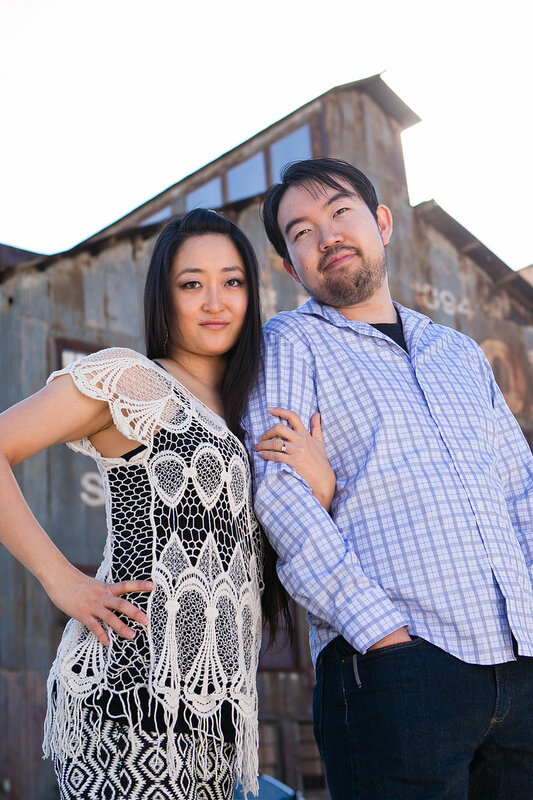 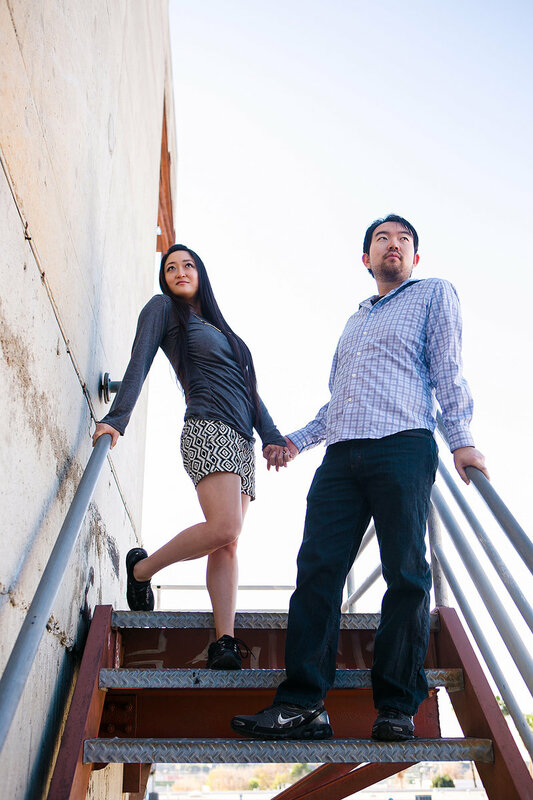 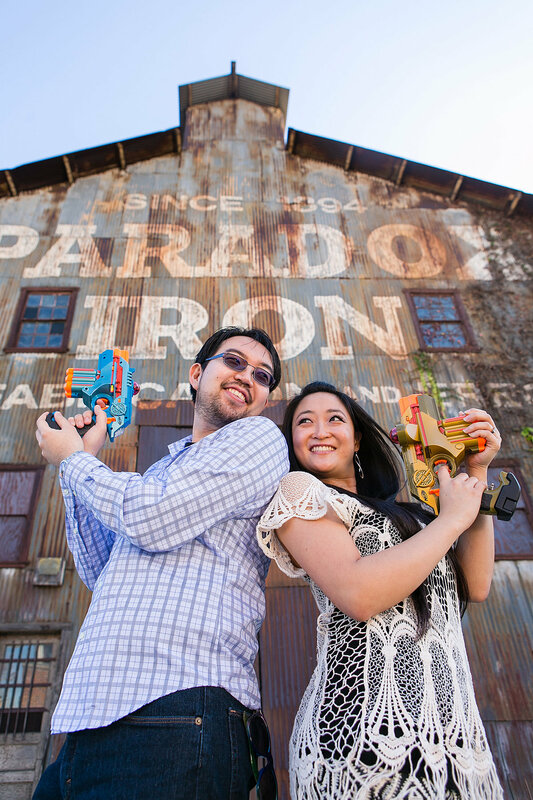 When it’s time for your engagement portraits, the last thing you might think to bring is your Nerf blaster. 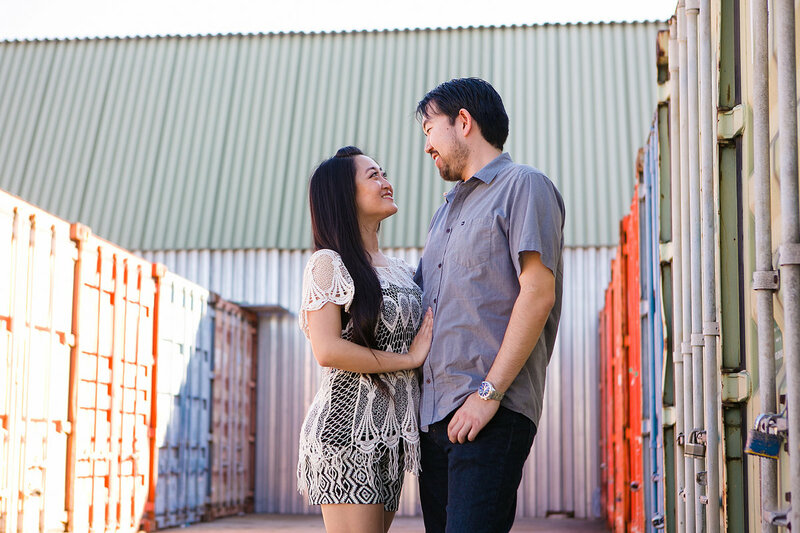 But for Stephanie and Riki, that’s just the beginning. 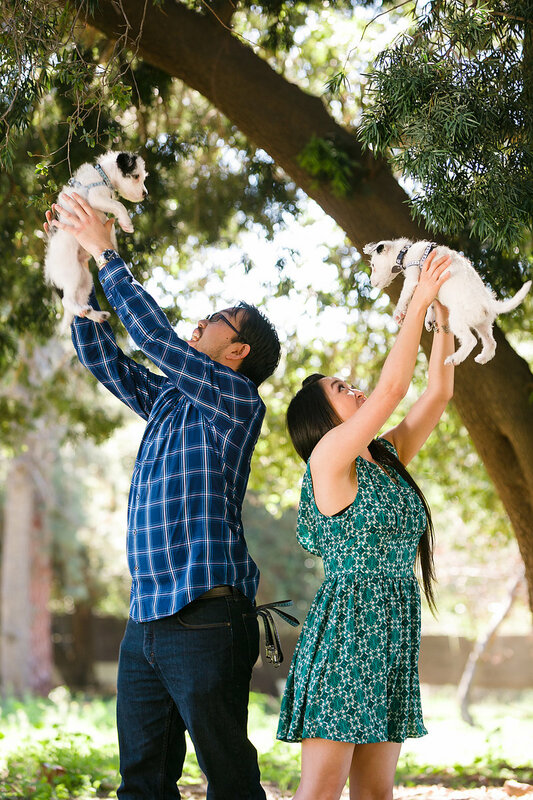 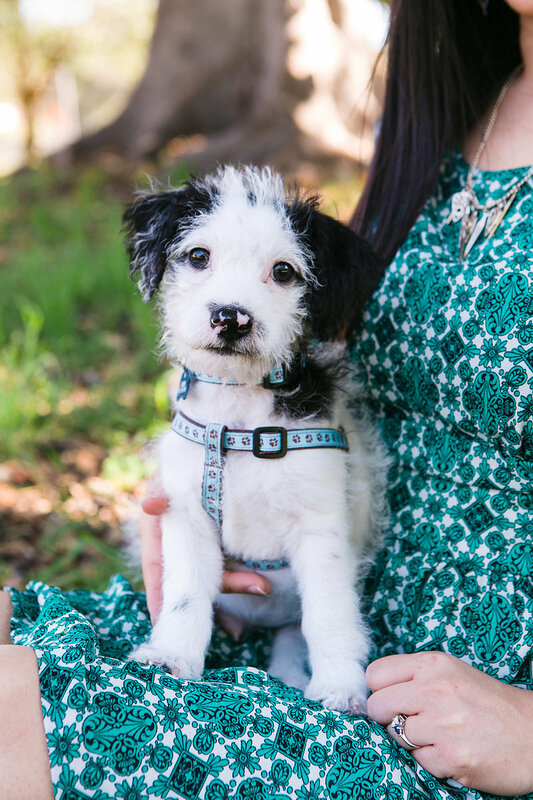 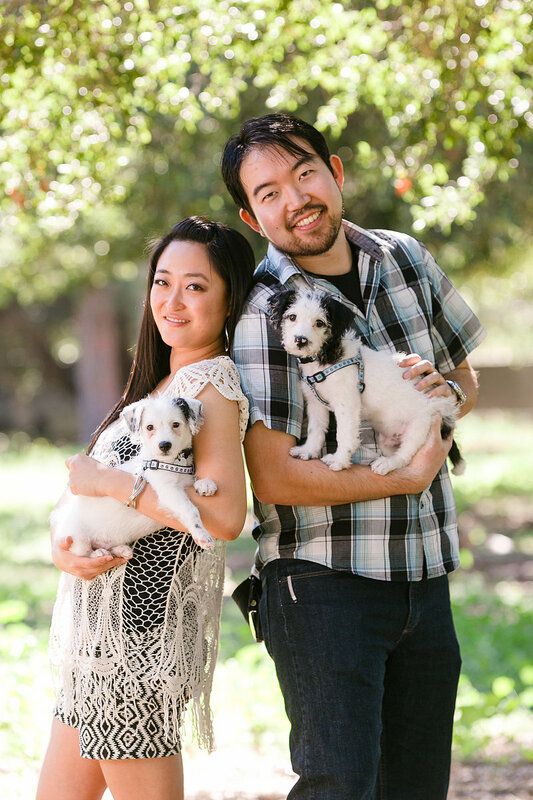 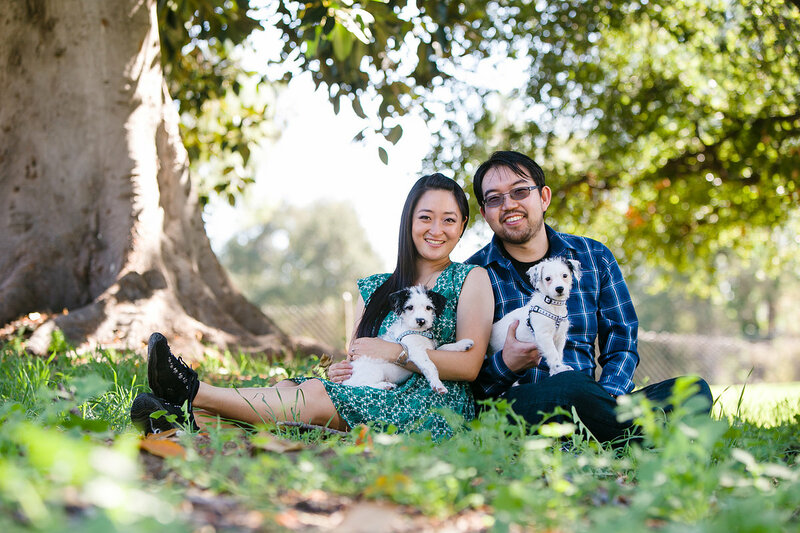 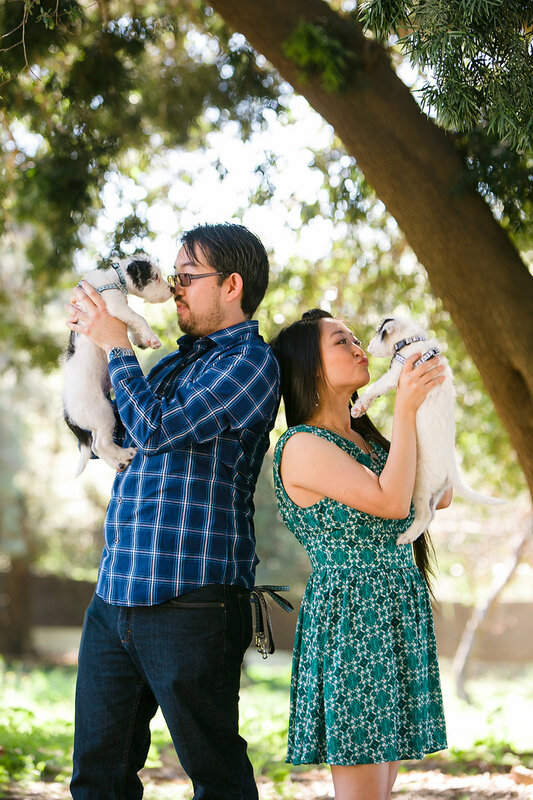 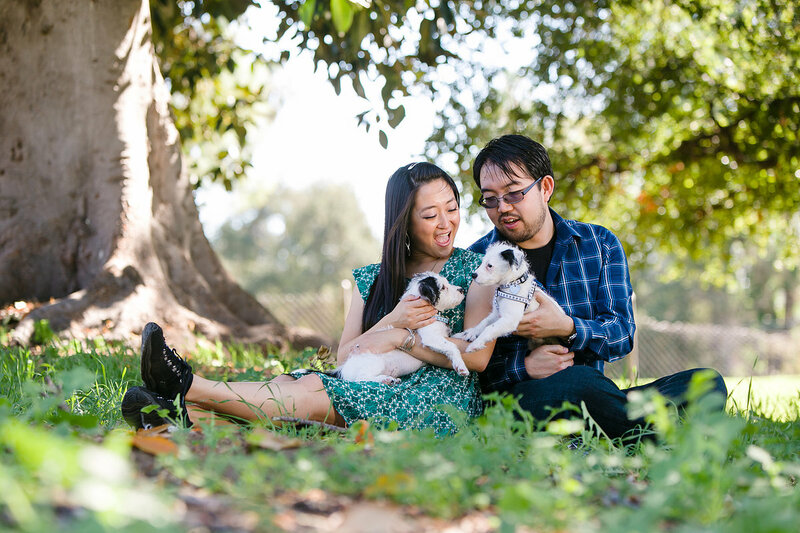 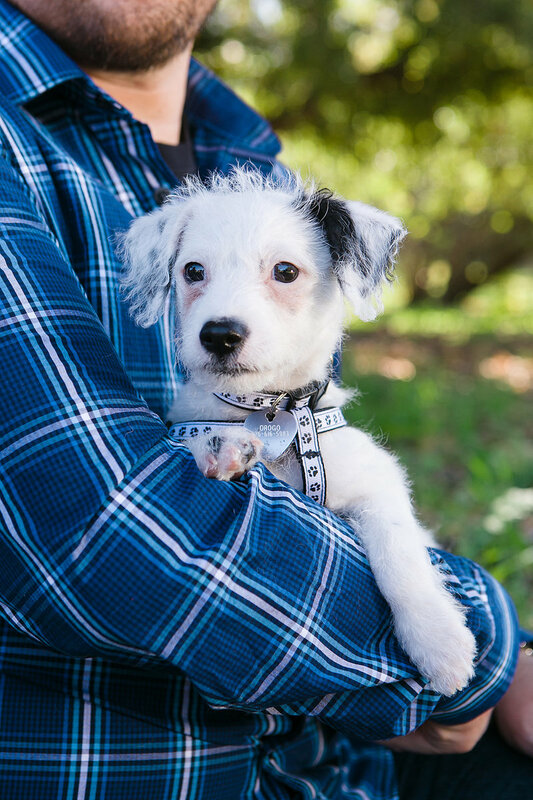 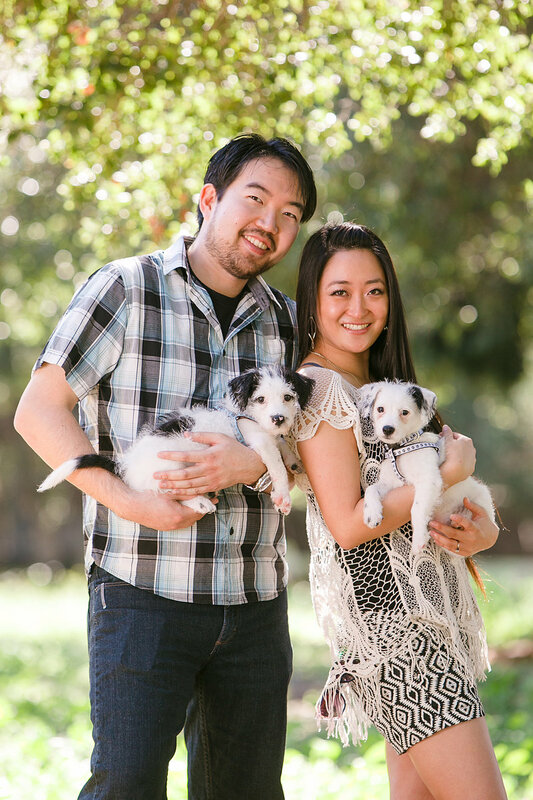 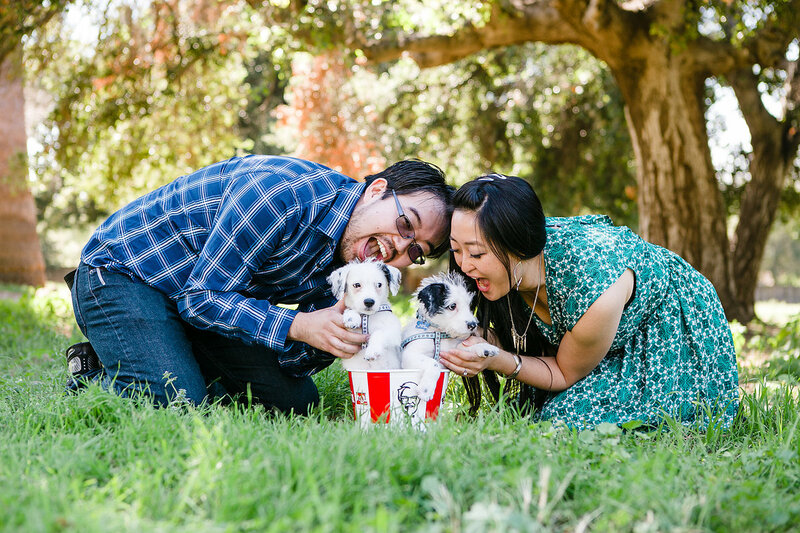 Our session included a ton of fun props like bubble blasters, rad shoes, a KFC bucket (a throwback to their first date), and two of the cutest dogs on this side of the galaxy. 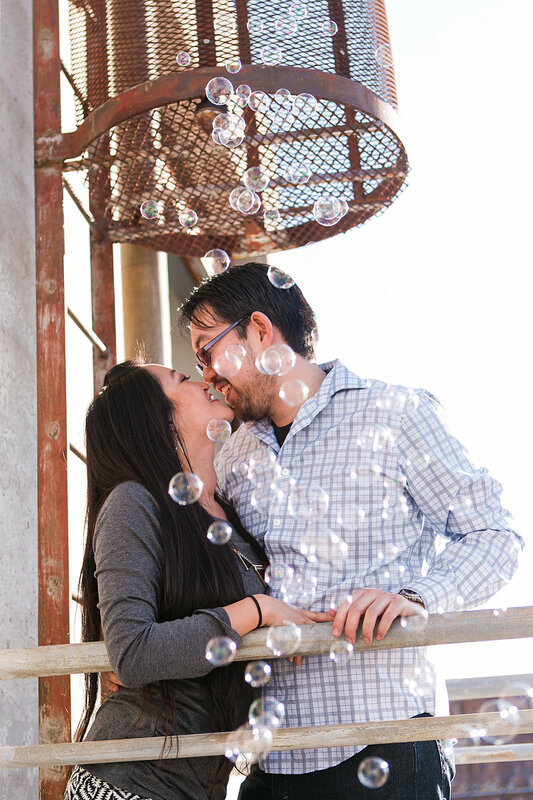 We love it when couples show their silly side, and these two live up to our celebration of couples who are nerdy-at-heart! 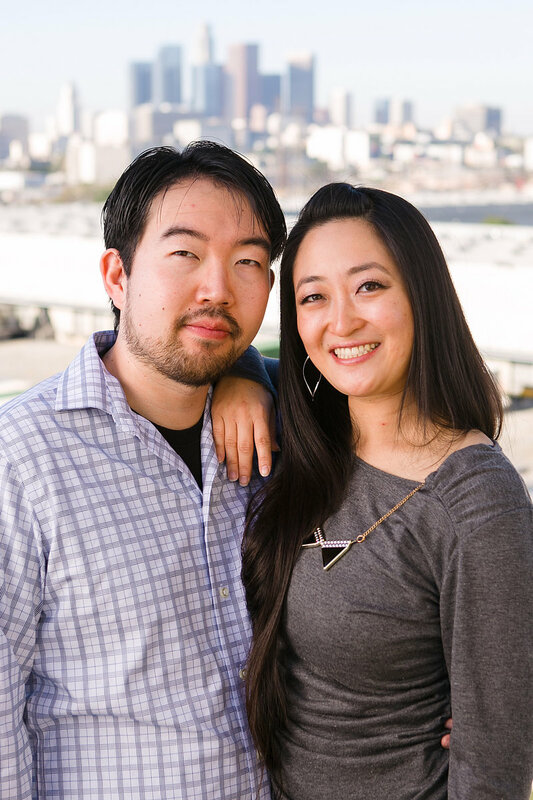 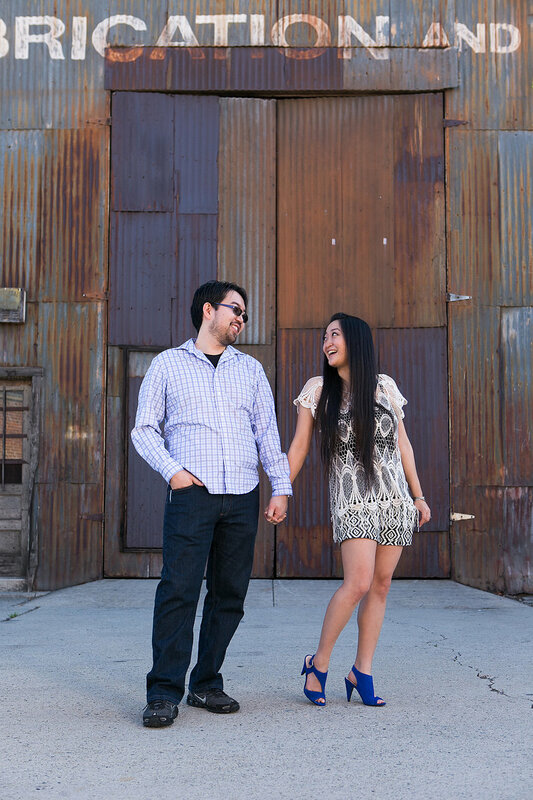 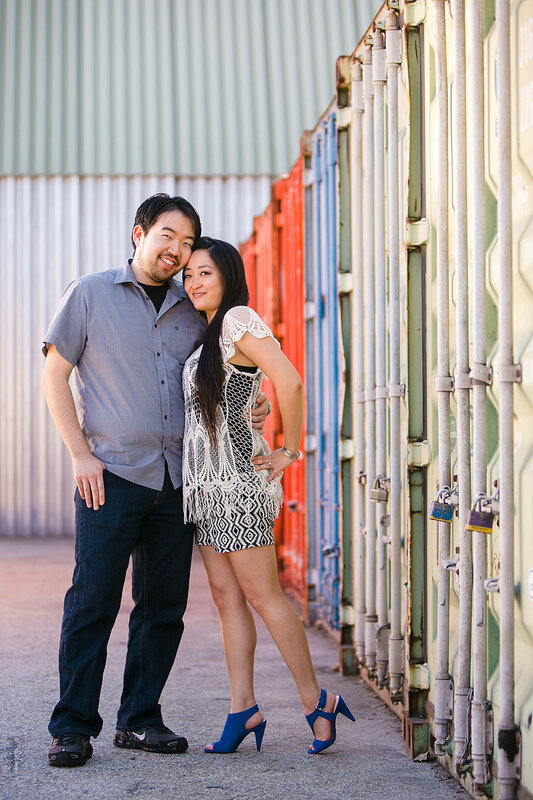 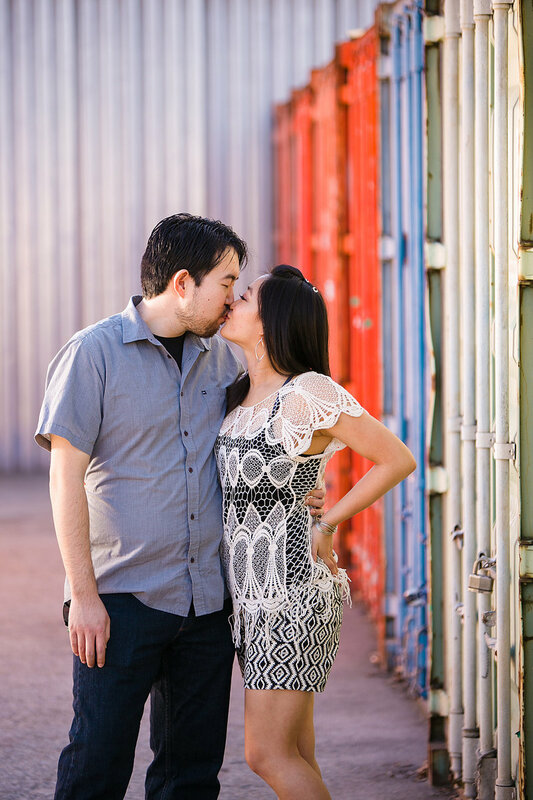 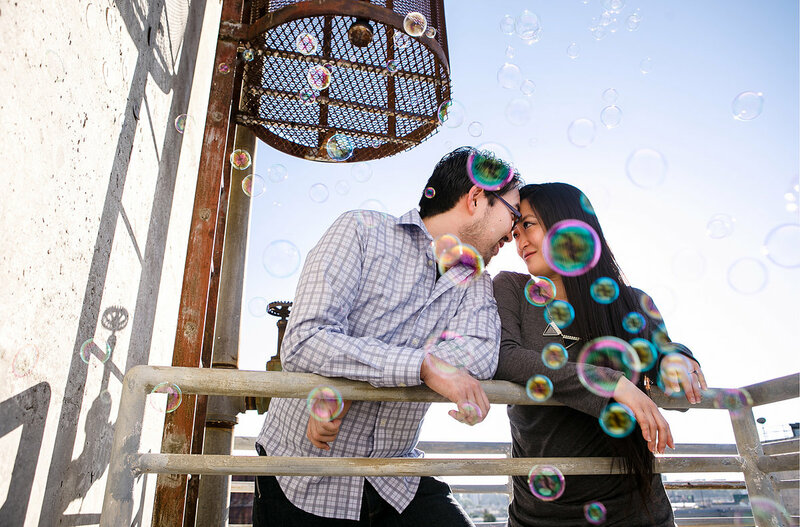 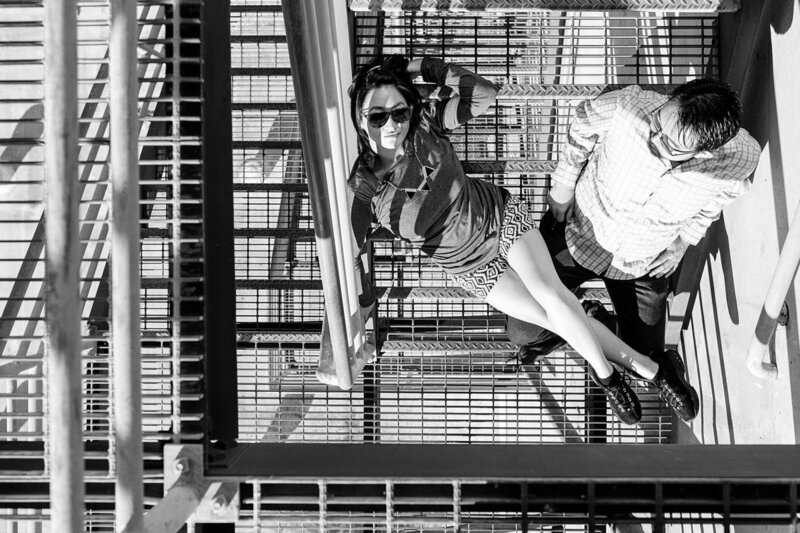 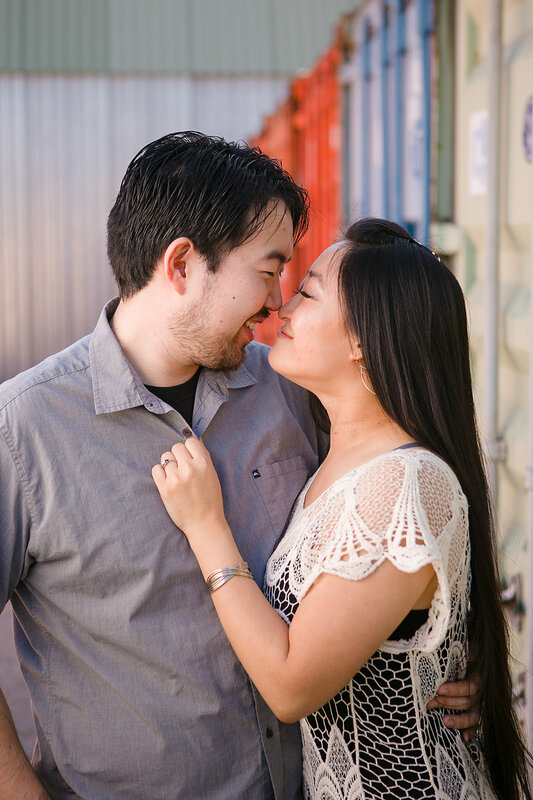 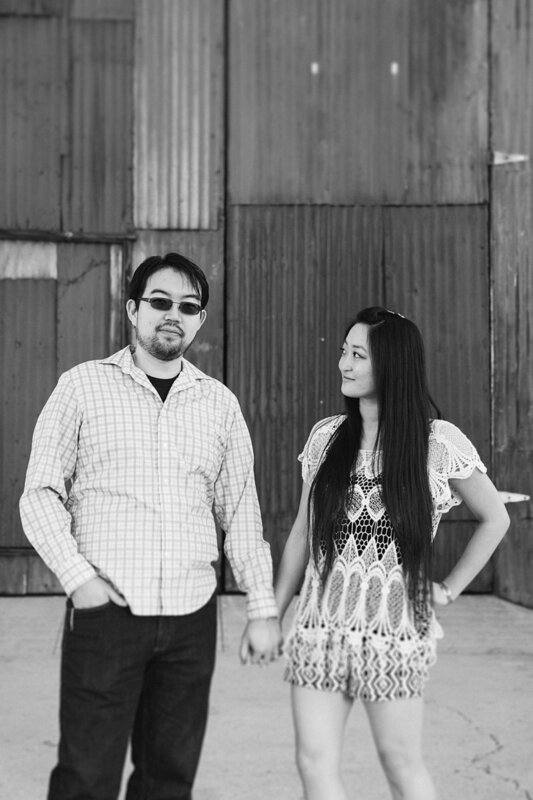 We got up early in the morning for our Brewery engagement session in Downtown LA with Stephanie and Riki, capturing an urban industrial look for the couple. 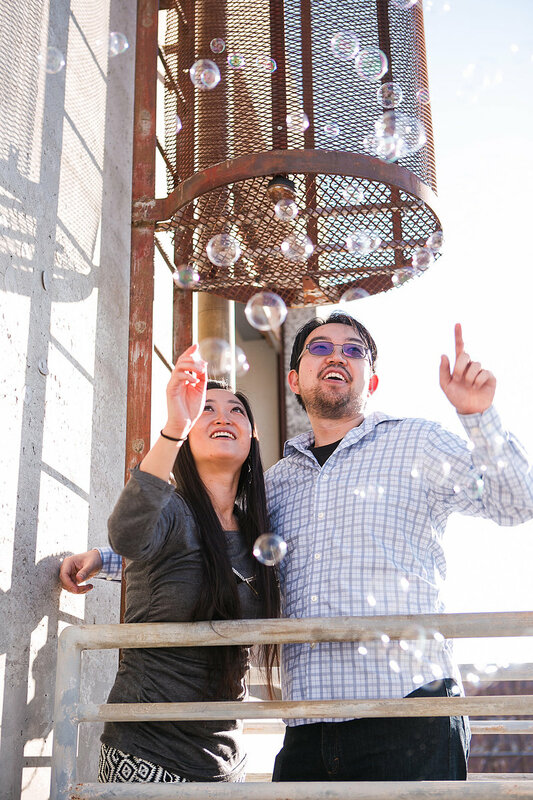 The complex started its life as a Pabst Blue Ribbon Brewery, and has been transformed into what LA Weekly calls “the world’s largest artist-in-residence community.” As an art colony, creativity is in the air at this location. 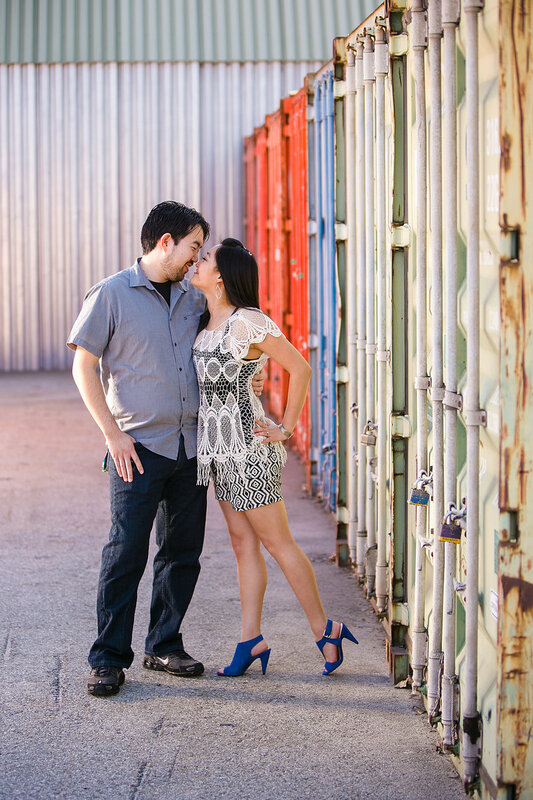 We found ourselves happily exploring rusty stairwells and colorful storage containers. 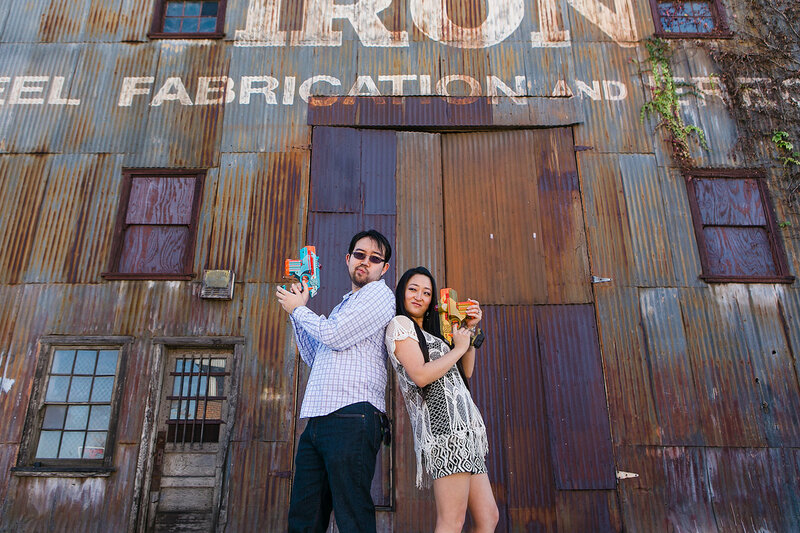 We also staged a Nerf fight in front of the dramatic warehouse in the corner of campus. 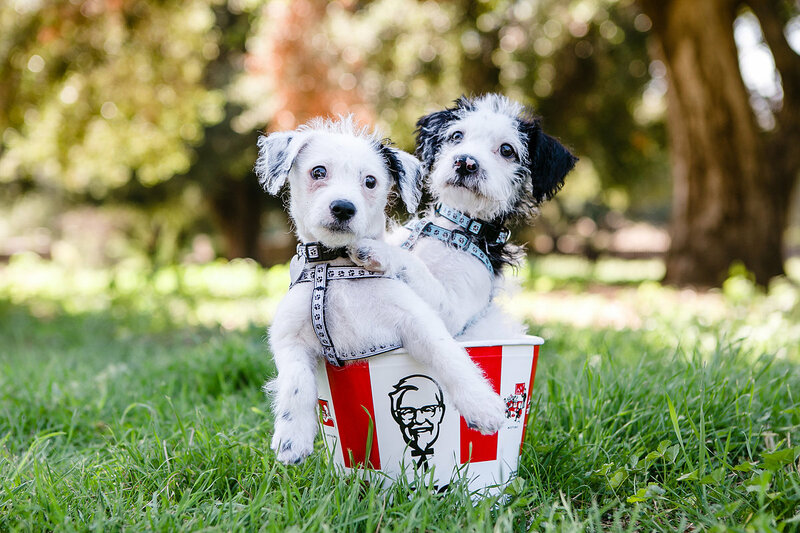 In our book, these two are made of 100% awesome!